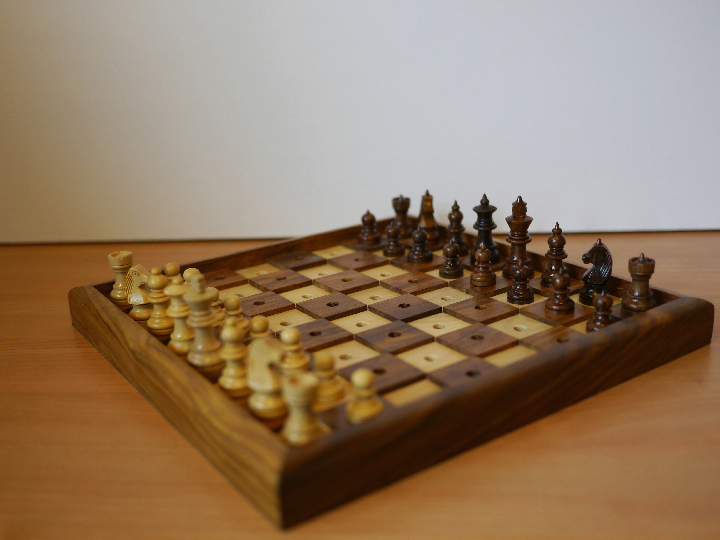 This product from Chess Baron: Chess and Draughts set for blind chess players and usable in chess tournaments for the blind. 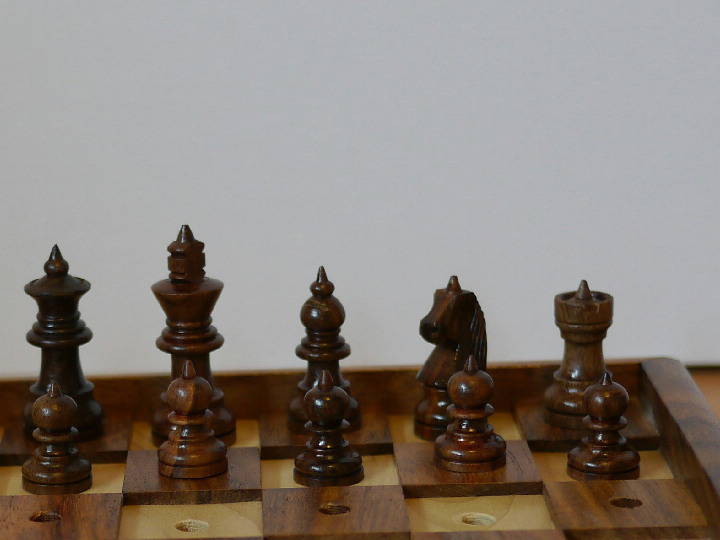 The darker squares are raised slightly, the pieces all have a dowell to hold them in place, and the dark pieces have the required spike to designate their colour. 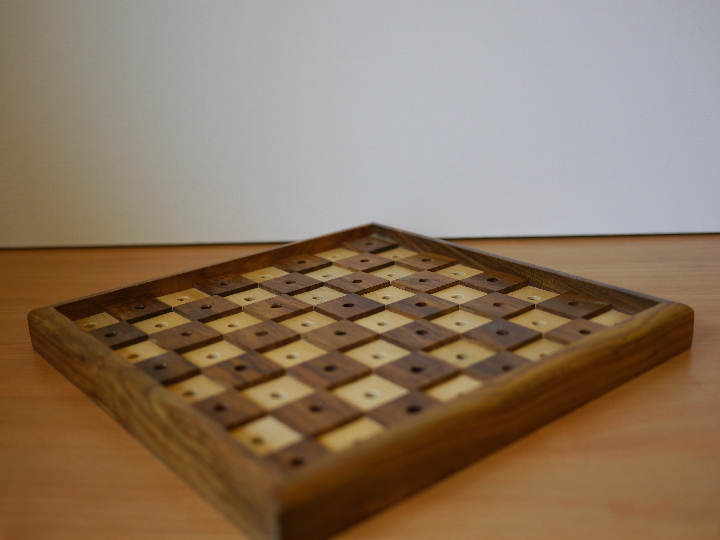 All made in a fine quality solid sheesham cabinet and approved by the Braille Chess Association in the UK. 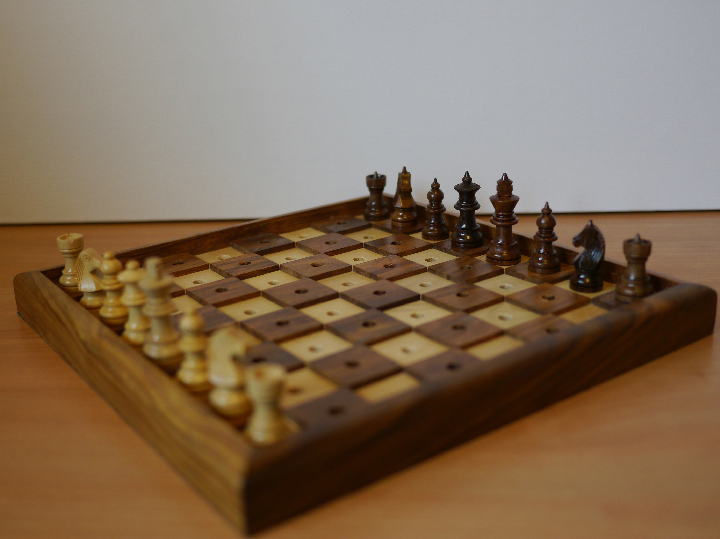 It measures 10 inches square. 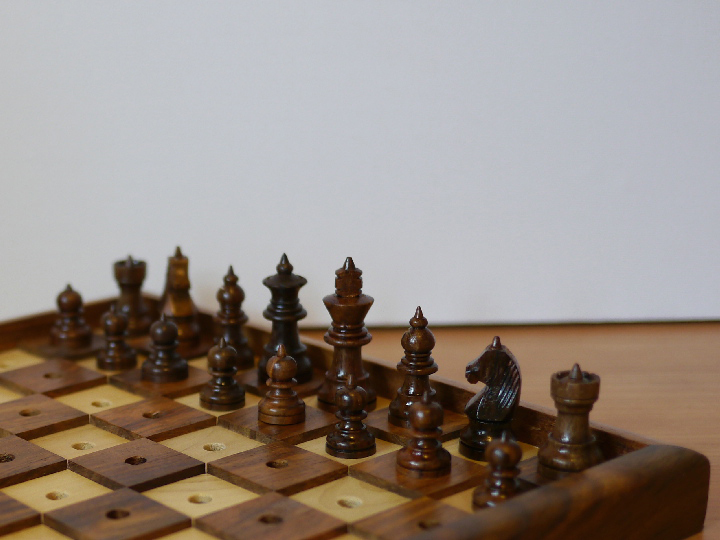 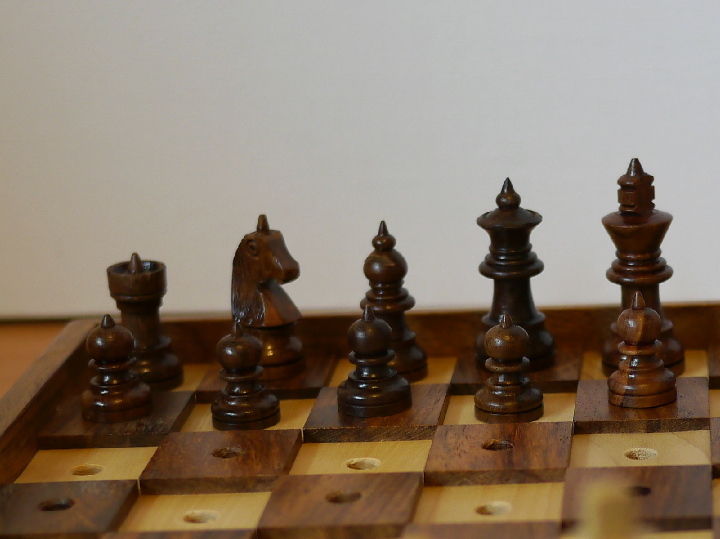 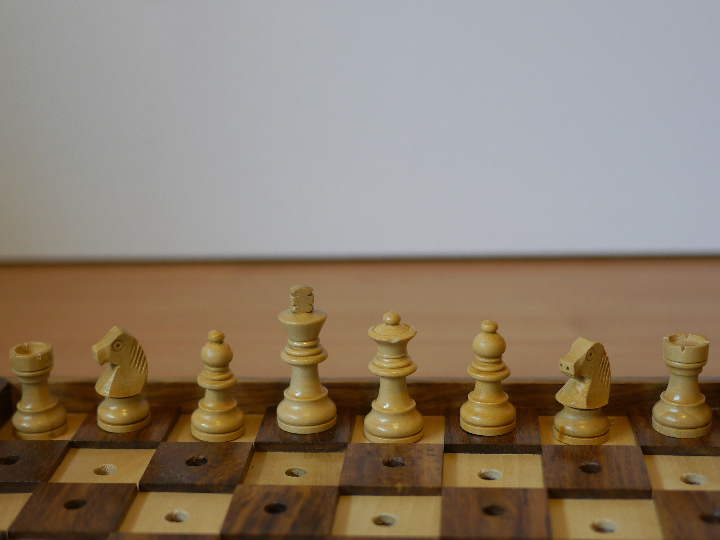 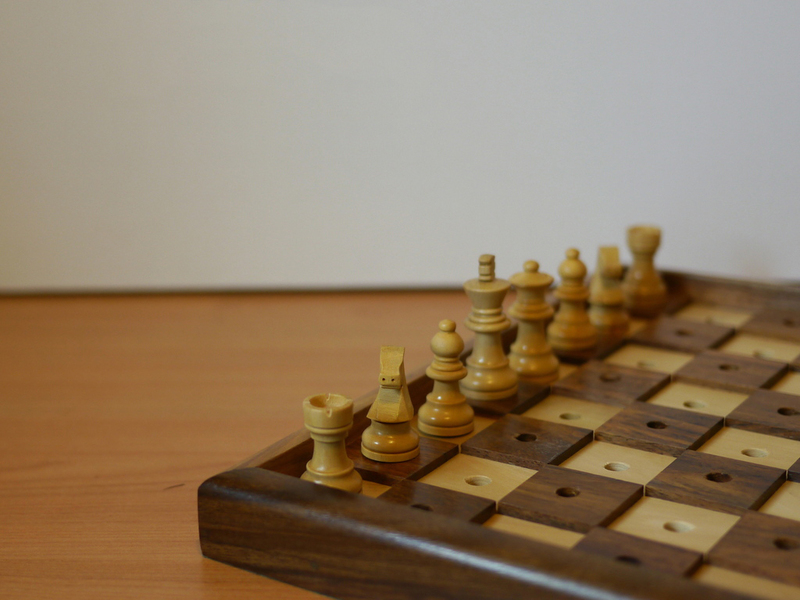 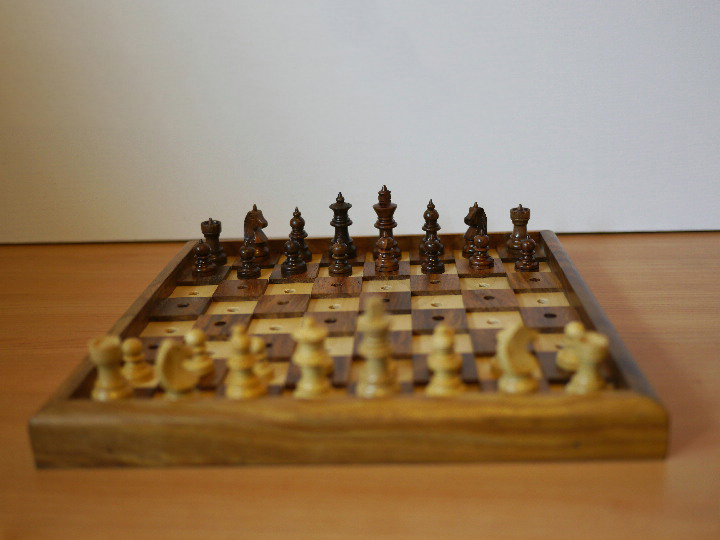 We also have another blind chess set that measures 13 inches (Product E2036).